Tang Dynasty will have you discover the most refined tastes the Chinese Cuisine has to offer in a rich decor that is inspired by traditional Chinese homes. You are invited to enjoy a unique dining experience tributing to Asian Tradition. Tangla Hotel Brussels "Tang Dynasty"
Please note that reservations have to be done at least 2h in advance except for the 30min Business Lunch. Tired of having a quick sandwich for lunch ? Search no more we have the perfect lunch for you. Tang Dynasty is launching its “30 minute Business Lunch”as from 18.03.2019. Available without reservation for Lunch only, from Noon to 2 pm, from Mondayto Friday. Your lunch includes a soup, small side salad, a main course, rice and water per person. And all of this served Bento style for only 19,98€ ! You may either have lunch in the cosy Tang Dynasty restaurant or when the sun is shining, enjoy your lunch on our sunny terrace ! You just might be wondering what our main courses will be ? You will have the choice of delicious Meat (which will either be Chicken, Duck, Beef or Pork) or Fish or a Vegetarian option. Regarding your rice side dish, it can be white rice or fried rice. Don't hesitate and come discover this new offer at Tang Dynasty. Your Lunch doesn't have to be unhealthy and tasteless anymore ! Since the pre-opening of the « Tang Dynasty » Chinese restaurant by TANGLA HOTEL BRUSSELS, guests looking for true "Chinese flavors" appreciated the unique and elegant style of the restaurant, as well as the high quality service, the fresh local produce and of course, the authentic Chinese ingredients. 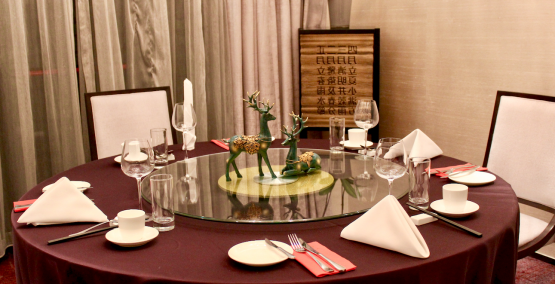 In order for each "Tang Dynasty" guest to experience traditional Chinese cuisine, the "Tang Dynasty" restaurant offers family-style menus, which are mainly based on Southern China cuisine, known for its exquisite and delicate flavors. 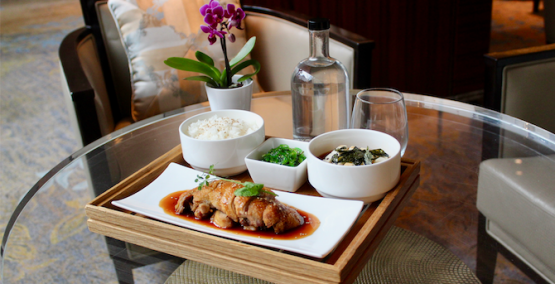 The "Yuan" menu is available for the same day reservations, 2 hours in advance. With the best wishes from the Tanggula mountain, "Tang Dynasty" accompanies you on an unforgettable journey through Chinese gastronomy, an authentic experience to share with your loved ones. "Tang Dynasty", the start of a wonderful journey to the heart of China. 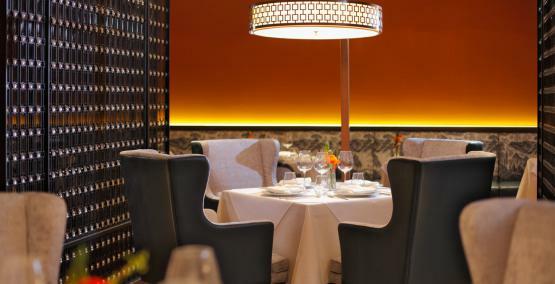 Our restaurant features no less than 5 private, oriental inspired designed dining rooms, perfectly suitable for hosting a more intimate diner party or discrete lunch meeting.